Welcome back to our series on thoroughly cleaning the bathrooms in your spring cleaning battleplan. Previously, we talked about preparation and supplies you’ll need, so you won’t want to miss out on that if you haven’t yet read it. We also discussed getting everything tidied up so that we could get into some real cleaning measures. Once you’re all caught up, we’re ready to move on. We want to start up at the ceiling of the bathroom. Working our way from higher surfaces on down is the best path to reduce any double work for ourselves. No matter the layout of the bathroom, we can start by brushing out any cobwebs from the corners/ceiling/wall. Everything we dislodge with the broom and duster can be picked up later when we get to the floors. Walls can be wiped down using a microfiber cloth along with a little dish soap. Areas where the wall is most likely to have been struck with splashing water (around the tub or sink) should receive special attention. If you have a solid marble or tile backsplash, use a bleach cleaner to disinfect. 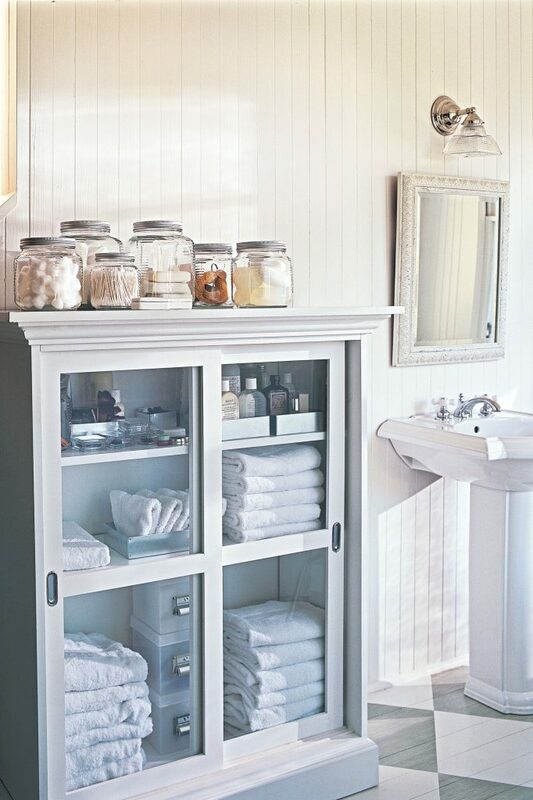 Thoroughly wipe down the (emptied) cabinets and vanity/medicine cabinet. For veneer cabinets, you can clean with a soft cloth and some dish soap. Wooden cabinets could benefit from some wood oils polishing. Getting that applied can lend some protective coating until your next spring clean. Your countertops should be handled using your all purpose spray. This gets you a deep clean along with the disinfectant properties managing plentiful bacteria in the area. 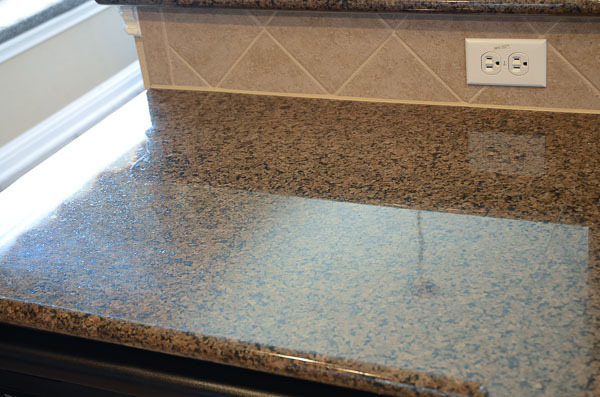 If you have granite countertops or any porous material, stick to dish soap instead (but be more vigilant about getting your microfiber cloth into nooks and crannies of the material). Using your toilet bowl cleaner and scrub brush, get into the bowl and be thorough. Make sure you angle upwards and attack all buildup under the inside rim. 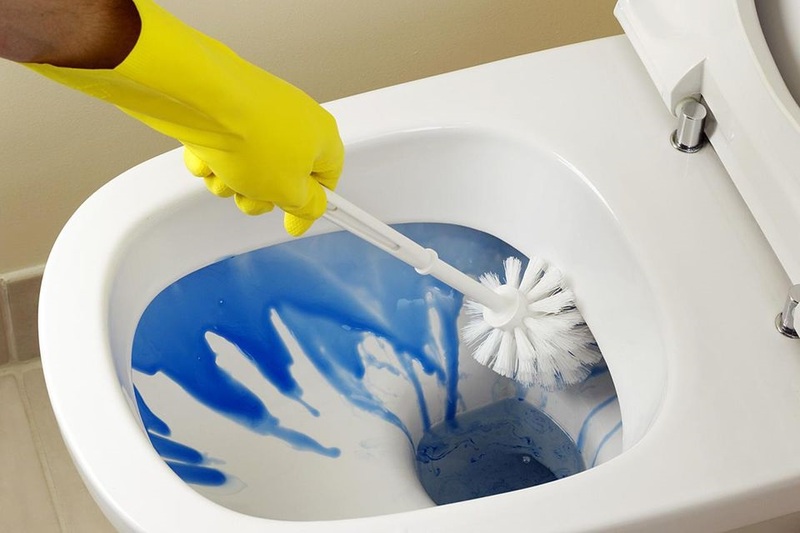 Using Clorox wipes or a toothbrush with a bleach solution, get every exterior surface of the toilet. Pay particular attention to corners or rubber screw covers. The base of the toilet can be often neglected, but ensure that it gets brushed well. This goes doubly for homes with growing boys in them! The toilet seat itself should also be scrubbed well, top and bottom. If you opted for 2000 Flushes, place it into your toilet tank. This can your water saturated with detergent for several months on average. It neutralizes odors, rather than instituting any sort of disinfectant smell. Thanks for sticking with us so far in this series on helpful household tips for your spring cleaning! We have one more installment to go, where we will be covering shower and tub, faucets, light fixtures, windows, and floors. Stay tuned, healthy lifestyle reader!